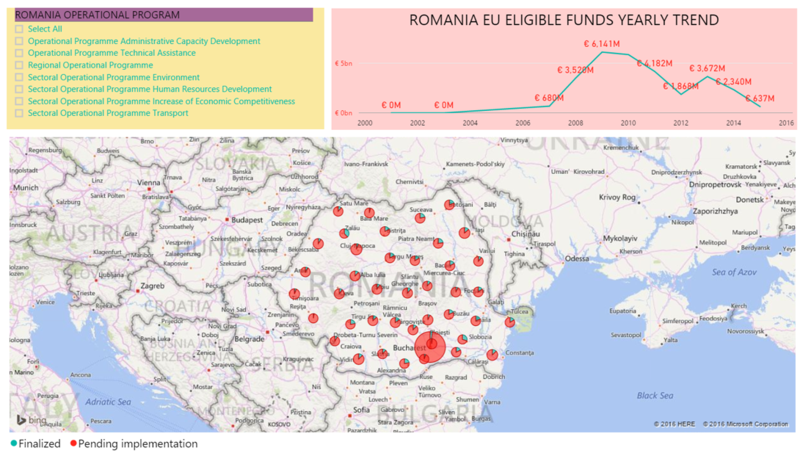 Consult Blue – EU Funds Absorption Dashboard presents the relevant data on EU Funds availability and absorption for Romania. The Consult Blue – EU Funds Absorption Dashboard responds to the huge interest on the EU Funds availability and absorption for Romania, one of the EU member countries. 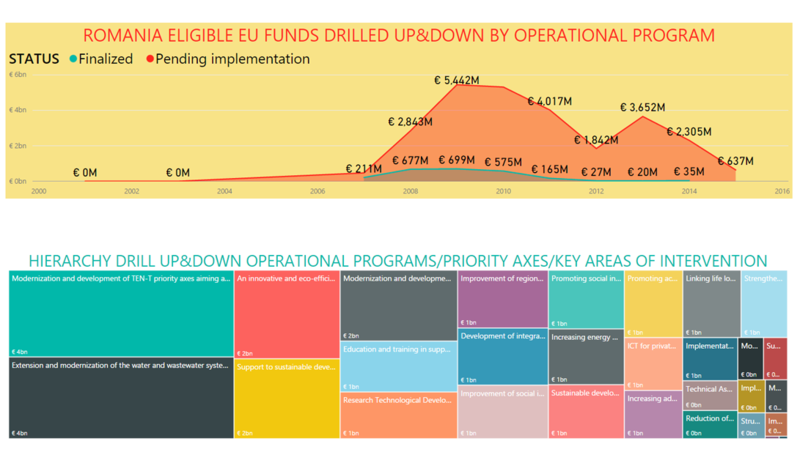 The data analyzed belongs to the EU budget 20017-2013 and the analysis shows the geographical distribution of the funds, the distribution based on financing programs allowing decision makers to understand how the supply of funds met the demand for funds. This is important for the authorities involved in the policy making as well as for the beneficiaries that seek the best positioning and partnership in order to get financing for their projects. The dashboard provides a useful up to date situation of the projects phases (implemented vs. under implementation), which is of crucial importance for the authorities and the beneficiaries, as the unfinished projects will result in the loss of financing. The dashboard comes as a natural continuation of the data.gov.ro project that releases Government data to the public for a transparent government.